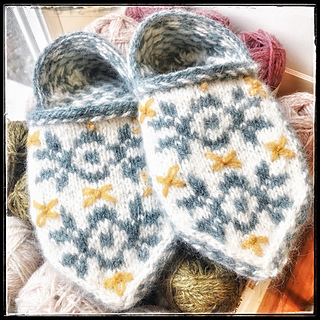 Norwegian motif women’s slippers are fun to make, fun to wear, and fun to give away. 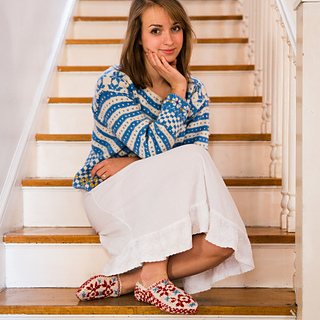 FULL COLLECTION NORSEKNITS EBOOK NOW AVAILABLE! 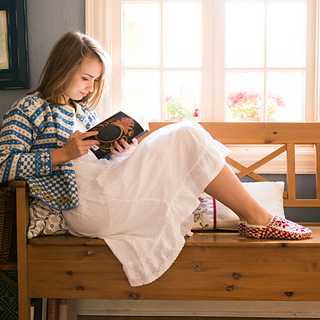 A fairly fast knit—in the round with double-pointed needles and single piece construction, Olsdatter Slippers are perfect for chilly nights or frosty mornings. 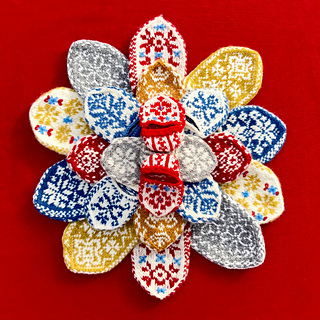 They feature 2-color stranded knitting, double-point knitting in the round, back and forth knit and purl work, a crocheted edge, and a little touch of embroidery. Knit with Raumagarn. Sweet stocking stuffer. Super happy for fall or winter nights by the fire with a cozy mug. Note: Please pay attention to your gauge and use whatever size needle you need to knit 24 stitches and 24 rows for 4 inches. 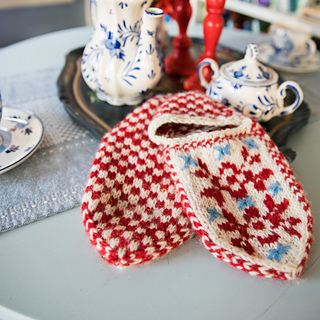 While teaching a class on these slippers, I have seen knitters use needles as small as a US 2 and as large as a US 5.